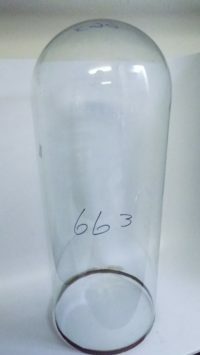 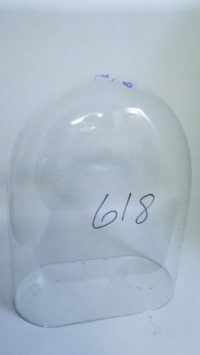 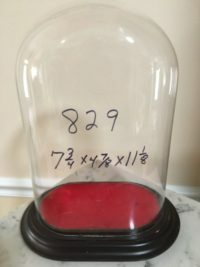 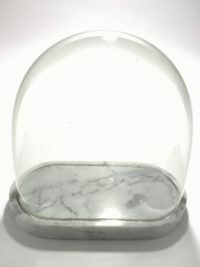 We have hundreds of glass dome bases. 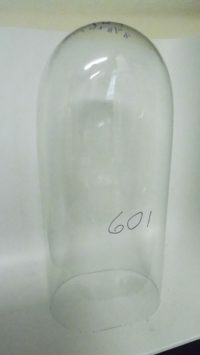 Many are Victorian. 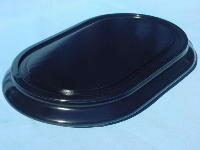 A typical antique base is black with an ogee edge with a groove to hold the glass dome in place. 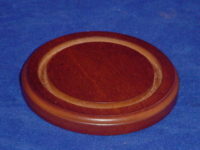 Many of the antique dome bases are flat on the back side so that it will fit onto a narrow shelf. 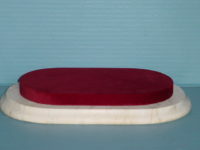 We provide the service of adding velvet to the base which gives it a very professional look. 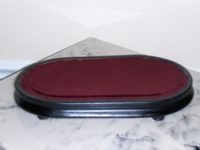 Velvet is available in antique wine color, black, green, red, and blue.